Pay off debts first and make sure you’ve got an emergency fund – Wouter Fourie. HANNA ZIADY: On the Market Update with Moneyweb, we’re discussing how to invest in turbulent times this evening. I must correct the number to call – the number for this evening is 011 731 8500. We’re taking your calls. Our guest this evening is Wouter Fourie, a certified financial planner and director at Ascor Independent Wealth Managers who is going to try and answer mine and your questions on how to invest in turbulent times. Good evening Wouter and welcome. WOUTER FOURIE: Hanna good evening, thank you very much. HANNA ZIADY: Let’s start off with – I have a question for you. In terms of investing in turbulent times, when somebody says that to me I immediately jump to thoughts of which stock should I be invested in, how are my unit trusts performing, what returns am I earning on my investments etc. but before they start thinking about their investments, or I start thinking of my investments, Wouter you argue that you should consider paying off debts first. WOUTER FOURIE: Yes I think the basics when we come to financial planning, you always need to go back to the basics. And as we know we are expecting interest rates to hike going forward in this year and a lot of people divorce the investment returns you get from the investment return you actually get from paying off debt. On the one side you can have money invested in the bank accounts and earn 6% or on the other side you sit with interest rates on credit cards at 10% and in fact if you keep on doing that you can actually save yourself bankrupt. HANNA ZIADY: There we go, that’s a very interesting take on it. Very important because people perhaps create this false economy in their lives where they think their investments are earning such good returns but actually your debt may be costing you more. HANNA ZIADY: Once you’ve got your debt under control, what’s the next step? WOUTER FOURIE: The next step is you need to make sure you’ve got an emergency fund. An emergency fund is enough money set aside to address emergency situations, the geyser breaking down, car needs repairs, the car needs new tyres, etc. An emergency fund also helps you to stay away from debt and it also helps you to make sure that you don’t run yourself into crisis situations and then you need to go into debt and pay high interest rates on money that you could have actually saved in an emergency fund. HANNA ZIADY: I’m going to bring Wayne in on this discussion. Wayne McCurrie has stayed with us from Momentum Wealth, for the discussion. We hear a lot about emergency funds from financial advisers and I do think that in principle they are a very good idea, but how many people do you know Wayne who do have an emergency fund? WAYNE MCCURRIE: Without punting my company too much, Momentum runs this financial wellness index and according to our statistics, and there are various classifications, but about 6% of the South African population has truly provided adequately for their retirement. And if you extend that definition to something like people who have more or less adequately provided, the total goes up to about 30%. So 70% have not got enough money for their retirement. But as Wouter was saying, there are a couple of simple rules, and maybe the simplest rule is just live within your means. That’s a simple rule, and I agree with Wouter, if you do repay back your debt, make sure that extra money you’re saving on interest you don’t spend, that you actually put it aside, so if you all of a sudden had paid off your debt, that money you used to pay on debt must go somewhere. It mustn’t go into the general expenditure fund. A lot of people make that mistake and pay down debt, but then they don’t put the interest that they save on the debt aside in some other sort of saving or retirement vehicle. HANNA ZIADY: So they just make the circle bigger as it were, make their lifestyle circle bigger. I just scolded you for punting your company and I’m going to punt your company. The MMI Unisa Consumer Financial Vulnerability Index (CFVI) which came out earlier last month revealed that by the end of this year, most consumers hovered around the very exposed classification, so the index kind of measures consumers on their financial vulnerability on various levels, extremely secure, very secure, mildly exposed, very exposed, very vulnerable and extremely vulnerable. Most consumers were hovering around that very exposed category. Really their ability to repay debt at an all-time low. So I think that speaks very much to what you are both saying. On the investment front, short-term savings, long-term savings, ok now we often hear a lot about long-term savings such as saving for retirement and perhaps saving for university education, your children’s university education. People saying save from the day that they’re born, or before. What about short-term savings, should everyone have short-term savings, Wouter? WOUTER FOURIE: I think everybody should have short-term goals firstly and I think the goals will determine the savings and the portfolios that you use in terms of saving for those goals. It’s an old story that if you don’t set goals you’ll never know if you miss it and that’s a basic concept. If you just look at life goals as well, all of us set life goals but we need to make sure that we’ve got financial goals as well. Short-term goals, don’t be fancy and try and outsmart the markets. When you’ve got a short-term goal go safe routes, make sure you’ve got your money invested in interest bearing, interest something like a fixed deposit account or a money market account, you’re not subject to volatility in the markets, but it’s not the right instrument when you look at long-term investments. HANNA ZIADY: Just on that, on the fixed deposit money market, having a short-term savings vehicle for investing, a tax free savings account? WOUTER FOURIE: It is a must. It’s a freebie that all of us have. You’ve got R30 000 a year that you’re allowed to invest in a tax free savings account. In your lifetime you’re allowed up to R500 000 and it just makes sense. You get interest, you get returns on capital gains etc. and you’re not taxed on it. So each and every one of us needs a tax free savings account. And that came into effect last year in March so the first year is already done and we all need to make sure that we make use of the full benefit going into this year. HANNA ZIADY: A quick one, what would you define as a short-term period, what is short-term? WOUTER FOURIE: Short-term is usually one, two and maybe even as far as three years. HANNA ZIADY: Wayne tax free savings accounts? WAYNE MCCURRIE: You’ve got to yes. WAYNE MCCURRIE: Yes, you can get everything you like in a tax free savings account. HANNA ZIADY: But to extract the money that you’ve put in, is it not better to leave it for a longer term? WAYNE MCCURRIE: Oh you must yes, because you should always do it. But what Wouter said is very important. I’ve seen many people knowing for example that their child is going to university next year, keep the money in the equity market, and believe me, somehow it’s uncanny, the moment that you need to take that money out the market has probably fallen. So if you need money in one or two years don’t invest it in equity because equities can fall 40% in a month let alone over a year or two. WOUTER FOURIE: Some money making scheme and they find this, which is normally last year’s winner, where they put all of their money into it, and they come up very, very short. HANNA ZIADY: We’re getting some questions on the SMS line. Just a reminder that our SMS line is 34701, that’s the number for you to SMS. You can SMS market with your question. We have a question from Karabo in Melville saying is property a good investment right now. Who wants to take that one? WAYNE MCCURRIE: Look listed property is a little bit expensive. Not massively so. I’m not an expert on residential property because to me there are big risks there because if you just buy one flat and it turns out to be in the wrong area, I prefer as I said, quite extensively early on, diversification. So I prefer buying into listed property. You get yourself a 6%, 7%, 8% yield on it. It’s not bad. I think they’re a little bit expensive, but of course, any form of investing is good longer-term, so if you do take a longer-term view I don’t think property is particularly expensive. But just understand that if you’re going to buy that one house or flat to put into the to-rent market, it’s actually very risky because you just might buy the wrong house or flat. HANNA ZIADY: And we heard from the CEO of PayProp yesterday, Louw Liebenberg that rental yields are actually under quite some pressure at the moment. That interview is on moneyweb.com Karabo if you’d like to listen in. Another question from someone. Perhaps you can tackle this one Wouter, saying if you want to start investing, where do you start, give this listener three things that they need to do to start investing. WOUTER FOURIE: Ok, I actually want to go back to the property side and just mention something there as well. It’s important, if you look at property investments especially if you want to buy a second home to let. Just remember that that is a job. It’s actually something that you have to manage. There’s a lot of emotion involved, you’ve got people renting from you etc. so don’t think that it’s all flowers and glory. There’s a lot of work involved and a lot of risk. HANNA ZIADY: Not quite as cut and dried as the market. WOUTER FOURIE: Not as easy. If you need to start investing, the best thing that you can do is invest in yourself and investing in yourself is investing in education. That’s my starting point. Make sure that you educate yourself. With education you’ve got the potential of high income and that is the basis of wealth creation. Now you’ve got money available and then you can start looking at investment portfolios, etc. HANNA ZIADY: If I’d like to start looking at an investment portfolio, we’ve got a question here from Vusi saying, I’d like to have let’s say R300 a month to invest, what are the options out there? Unit trusts, equity unit trusts, what are the platforms out there, really practical kind of, these are the steps to take? WOUTER FOURIE: Yes if we look at the basics. 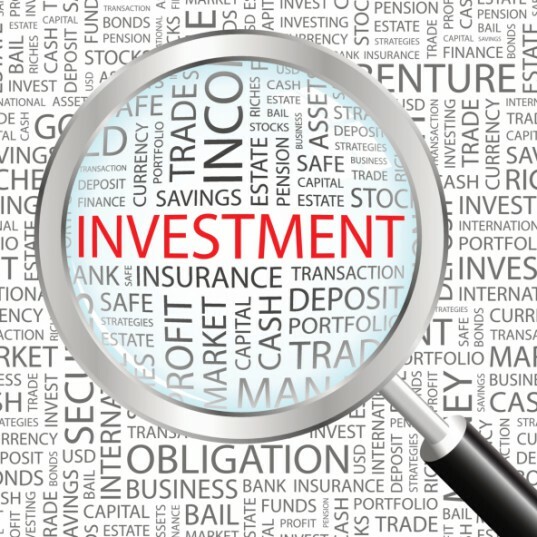 There are different kinds of investment asset classes so you can invest in the money market, you can invest in something like RSA Retail Bonds, you can look at property and then fourthly in equities. If I start off with basic investments I would say buy into unit trusts. The benefit of buying a unit trust is that you’ve actually got a team of brilliant managers like Wayne and his team who can actually assist you in picking the right stocks, the right portfolios, etc. They are on the job 24 hours in the day, they know what’s happening in the markets and they know how to manage those portfolios. That’s the easiest way. And commit by doing that on a monthly basis. So sign a debit order, make sure it’s the first money that you pay out every month and it’s also the way that you invest in yourself. HANNA ZIADY: I think that’s crucial and that goes back to what Wayne was saying earlier, that when you get that money, let’s say you’ve paid off your debt and you suddenly have a lot more money coming into your disposable income, you should really just set up a debit order straight way to put that money into some kind of a savings account. And there are various platforms out there for our listener to look at. One of them is EasyEquities which certainly touts itself as the easier way to access the markets. You can invest for example in fractions of shares as opposed to having to buy whole shares on that platform. But as you mention lots of companies out there, consult a financial adviser if you can to find out where, and what the best way is to invest your money, the best way to get some bang for your buck. Wayne you touched on diversification, if you’re investing for long-term goals, look at diversifying your assets as much as possible and perhaps not trying to pick the right sector, the right stock, not trying to time the market as they say. WAYNE MCCURRIE: People like myself who’ve been in the market 25 years can’t pick the right sector and the right stock. So you can’t do it consistently correctly. It’s just impossible in trying to predict the future. But it’s really simple. First of all if something sounds too good to be true it’s probably not true. Watch out for these get rich quick schemes. I don’t know of one that’s actually worked. Just apply common sense and logic. If you want to buy shares, that’s great. Make sure you buy at least 10 or 15 shares and you own them, get diversification. Take I don’t know about 20%, 30% or 40% overseas, have a spread of investments, talk to a financial adviser, that’s what they’re there for. I can punt them because I’m not a financial adviser. So I’m not punting my own book. But really the basic law is just apply common sense, don’t put all your eggs in one basket. WOUTER FOURIE: Yes and to add on to that, use your head and not your heart and always think long-term when you look at investments. HANNA ZIADY: There we go Wouter Fourie, an independent financial planner and director at Ascor Independent Wealth Managers and Wayne McCurrie from Momentum Wealth. And that’s it from us for this evening, the SAfm Market Update from Moneyweb. That discussion on how to invest in turbulent times will be up on our website over the weekend.